Originally published in 2006, this game is one of the Commands & Colours series of games designed by Richard Borg (Others including, Battlecry, Memoir ’44 and Commands & Colors: Ancients). 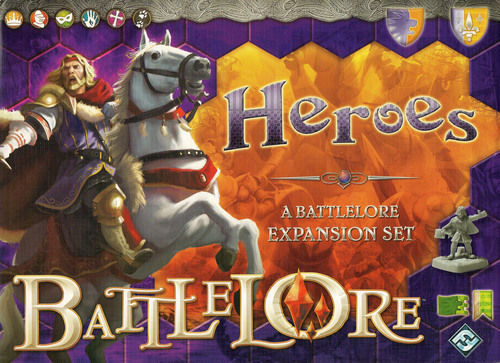 As with its predecessor, Memoir ’44, this game was published by Days of Wonder, and was designed as a fantasy battle variant of the popular board wargame series. The game could be played as both a fantasy game and (with a few rules tweaks) a medieval historical game, and so potentially catered to two different audiences. The setting of the game was a fantastical re-imagining of the 100 Years War, where the French and English were aided in battle by Goblins and Dwarfs, plus the odd giant creature. The game included a wealth of 18mm plastic miniatures which represented your troops, plus a wonderful array of card terrain, cards, counters and custom dice. 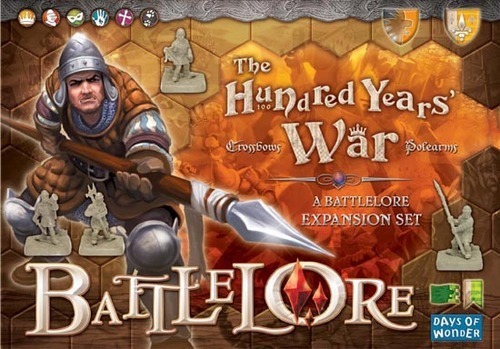 There followed a number of expansions for the game aimed at both the fantasy aspects of the war as well as some more historical units, thus expanding the scope of the game. However, by mid 2008, although DoW had been talking about more future expansions, it was clear that something may be wrong as the regular flow of expansions for the game simply dried up, and it was virtually impossible to get hold of a new English language version of the base game itself. Then an announcement came – Days of Wonder had sold the game to Fantasy Flight Games. Whilst this, in some ways was disappointing, at least it meant that Battlelore had been sold to another company that was known for selling games with lots of decent miniatures inside. All seemed well, as the (by then much delayed) ‘Heroes’ expansion for the game was released, and this was followed by new expansion box sets for both the Dwarfs and Goblins, giving players enough figures to make complete armies for both the stunties and the greenskins – although the miniature production had changed slightly and now we had to do extra things like glue the troops to their bases. There were even a couple of boxes of new large creatures, including Dragons, and a new box of human-only troops, expanding again the historical options available. However, in all of this Fantasy Flight did divulge a bombshell. They had discovered that it simply wasn’t financially viable to publish another print run of the original box set. Forgive me if I’m wrong here, but I believe the company who had produced most of the bits for the game had effectively used it as a loss-leader to get into the boardgames market, and the quote they then gave for printing a new edition would mean that the final sale price of the finished product wasn’t viable, at least not in FFG’s eyes. The full details can be found in this post from Christian Petersen. 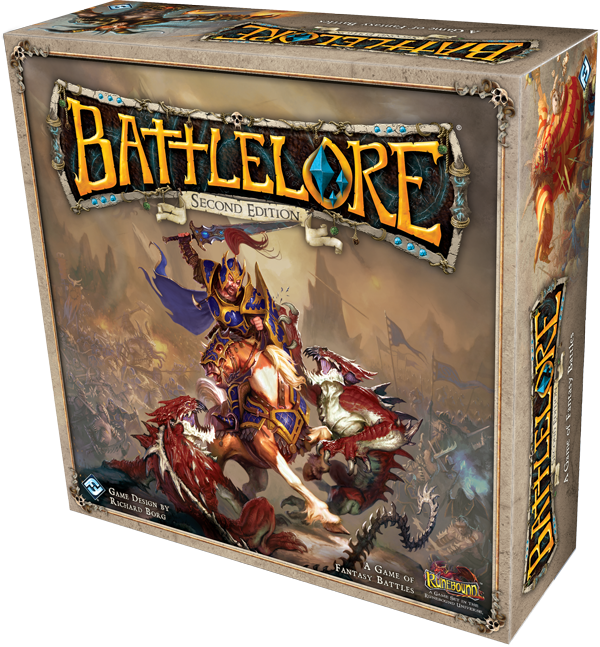 Whilst FFG did try to re market some existing French & German copies of the base game with extra English rules, it became clear that, for all intents and purposes, Battlelore was done. 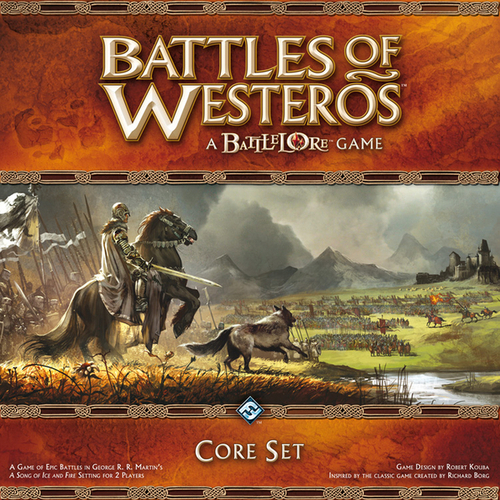 In the mean time, FFG still owned a fantasy battle system, and so they re-themed the game, basing it in the Games of Thrones universe and so Battles of Westeros was born. 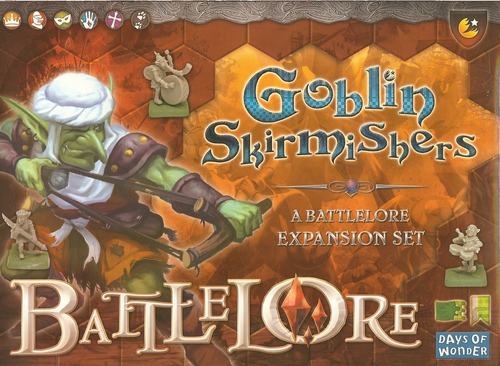 The new game looked good, had some great miniatures, and had several expansions published, but for me, it wasn’t quite Battlelore, and I never really saw the point in buying a game that scratched a similar itch to what I already owned, especially as I was heavily invested in Battlelore already. 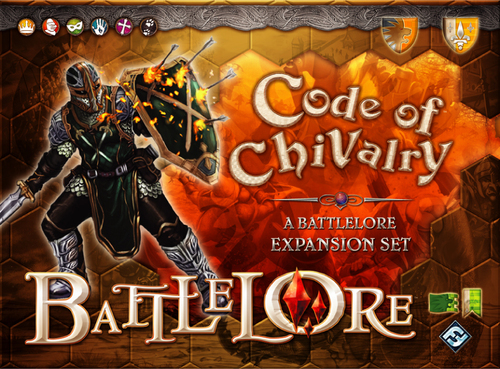 Now, Fantasy Flight have just announced a brand new version of Battlelore, to be published before the end of the year. This new version of the game has several major changes. It is now based in the fantasy realm of Terrinoth (the same setting as the FFG games Runewars and Descent: Journeys in the Dark games). Whilst several aspects of the original game remains, it would seem that most have been changed or updated. The full list of what has changed can be found here. One of the big changes is that the scale of the miniatures (and thus the game) has changed. The game will now use 28mm miniatures rather than the old 18mm figures – quite a jump in scale.. This seems to make sense, as it means that FFG can use many of the figures that have already been sculpted for Descent: Journeys in the Dark and use them in this new battle game, which would make the design process a bit cheaper (the moulds already exist). 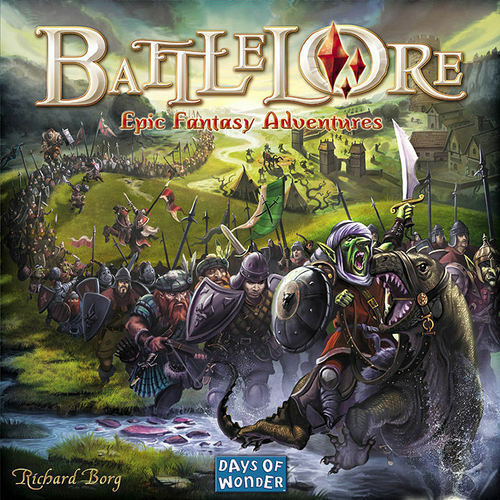 It would seem that whilst this game will bear the name Battlelore, much like its cousin, Battles of Westeros, it will essentially only have a passing resemblance to the original game. Some may argue that this may not be a bad thing. 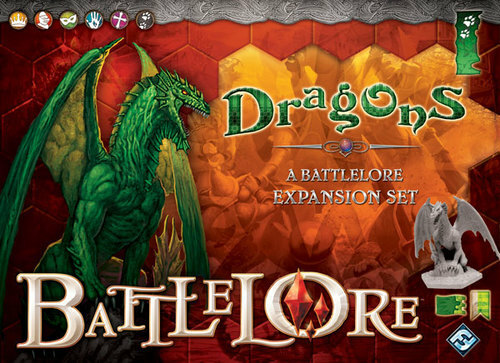 Myself, I still think that the original Battlelore game, especially when coupled with all of its expansions, is one of the best lite fantasy miniature boardgames out there, certainly one of my favourites. If nothing else, news of this new version has encouraged me to dig this game out again – this time making sure that I finish painting all those models! Please can we have a new podcast soon Mr Shuck please?